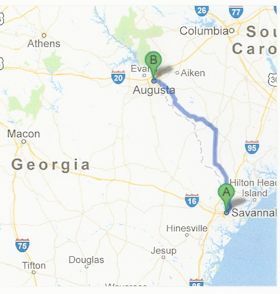 Another of many attempts was made to build a road from Augusta to Savannah. Thomas F. Allgood, Bill English and Charles Wessels authored a resolution in the Georgia Senate seeking a Department of Transportation study of the traffic corridor between Augusta and Savannah. After some study, the project was shelved.